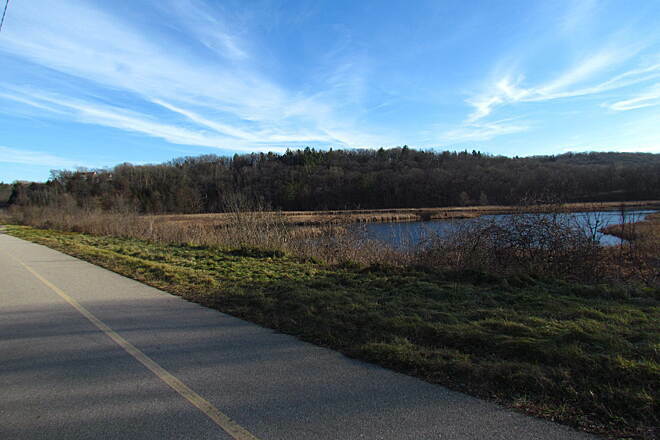 The Lake Country Recreation Trail runs from the western edge of Waukesha to Oconomowoc in Wisconsin’s Lake Country area. 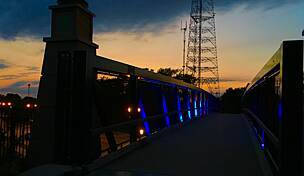 Most of the trail was built on a former Milwaukee-Watertown Interurban Railway right-of-way, now shared with Wisconsin Electric Power Company overhead electric lines. The view from the rail-trail is primarily farmland and rolling hills, although adjacent roadways are rarely out of sight. Occasionally, you can catch glimpses of Pewaukee Lake and Upper Nemahbin Lake from the tops of some of the taller hills. 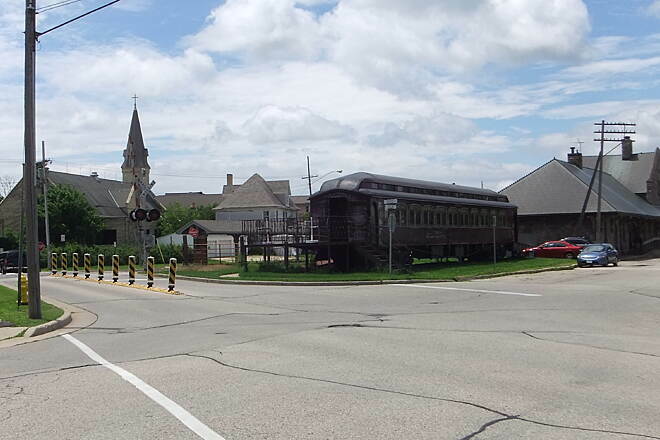 There are a few on-road stretches along the way, including in the quaint downtown area of Delafield. 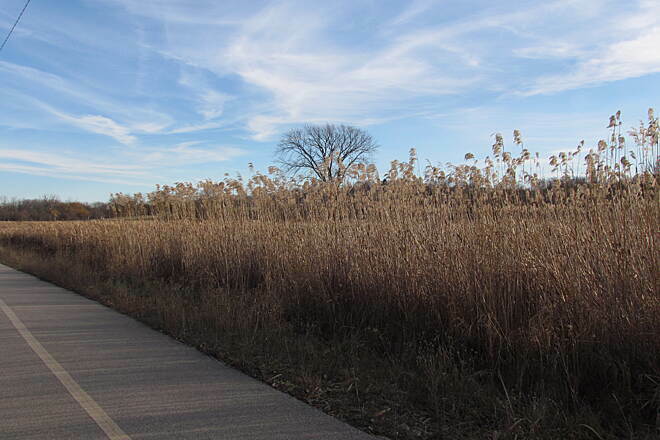 In this community, you can connect to the Cushing Park Road Recreational Trail, which heads south from Main Street to meet the Glacial Drumlin State Trail in 3 miles. The popular Naga-Waukee Park and Naga-Waukee War Memorial Golf Course are located along the Lake Country trail just to the east of Delafield. Visit the park to enjoy swimming, boating and fishing in Nagawicka or Pewaukee lakes. 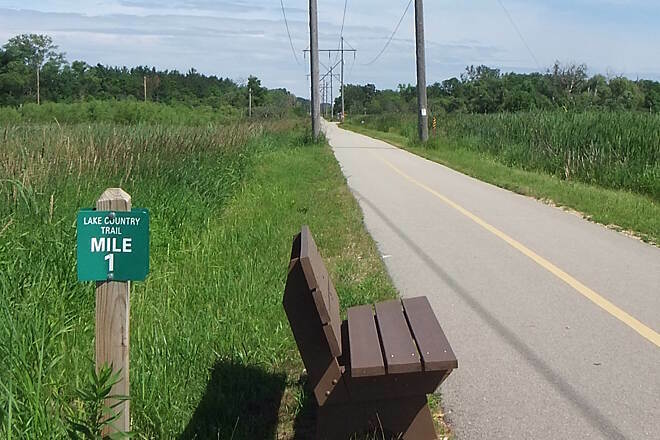 Parking for the Lake Country Recreation Trail is available in Oconomowoc at Roosevelt Park on W. Forest Park Street. Farther east, a trailhead offering parking and restrooms can be found on Delafield Road at the western edge of Upper Nemahbin Lake. 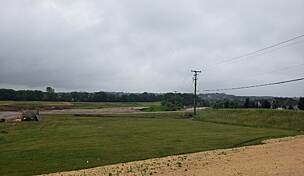 In Delafield, park at the Fish Hatchery Sports Complex on Main Street. Restrooms are also available there. 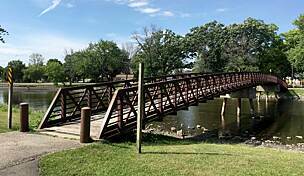 To the east, parking, restrooms and picnic areas can be found at several locations in Naga-Waukee Park. Access the park from State Route 83 or Maple Avenue. 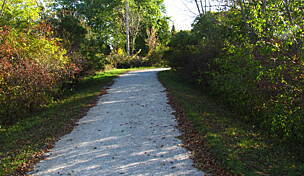 The easternmost Landsberg Center Trailhead is located in Waukesha on Golf Road. 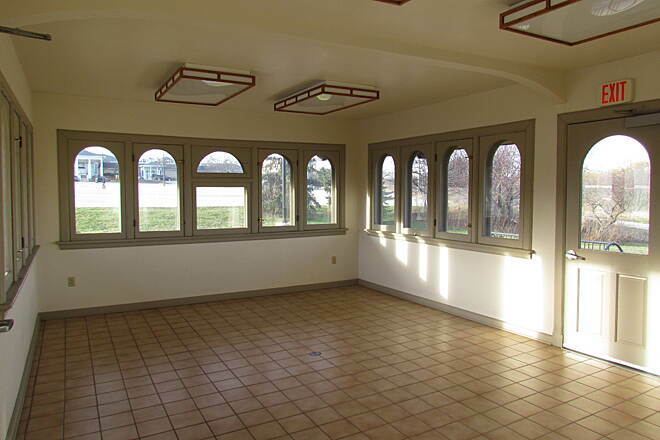 The large facility provides ample parking and restrooms. This trail is hilly! If you have a road bike, it's challenging. I have a hybrid and it was fun, but very challenging. Windy, slow climbs and some pretty good sized hills. We loved the scenery, and the work out. Landsberg Center trailhead to Roosevelt Field Park, Nice ride. We got off on Exit 291 and took the frontage road (Golf Rd/DR) on north side of hwy 94 expressway to the Landsberg Center trailhead located just east of Country Springs Inn. This paved trail was in good condition all the way and fairly well marked. 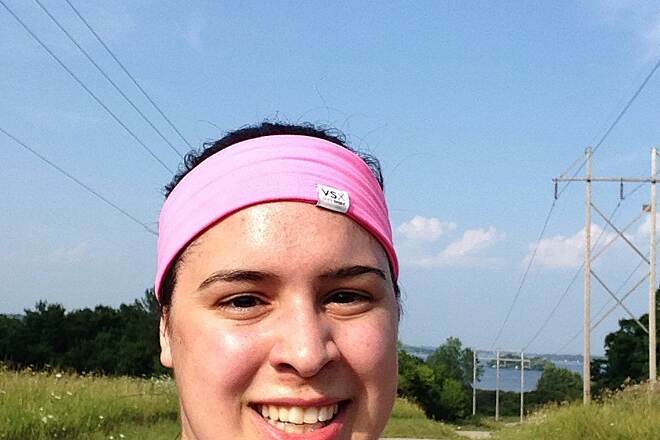 The big hill by NagaWaukee Golf course gives you a real good work out. This is not an old railroad right-away. You travel along with the power-lines and there are some serious hills. 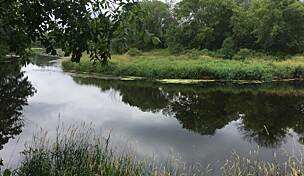 It is scenic, going through and past marshes, lakes, ponds, downtown Delafield with people eating outside at restaurants, cornfields... We saw cranes, deer, a turkey, red-wing black birds, and other birds. There was a nice rest area with clean bathrooms right before the Pabst Farms roundabout in Oconomowoc. This roundabout was nice because you didn't have to ride with traffic. You were up on the bike trail separated from the traffic with a curb and had well marked crossings. There are sections of the trail where I wouldn't take kids because you share the road with traffic; Downtown City of Delafield, a section of country road without paved shoulder right before the hill up to Naga-Waukee Golf course, and a pretty long section with about 1 foot paved shoulder near Nemahbin Lakes where you ride on a country road. 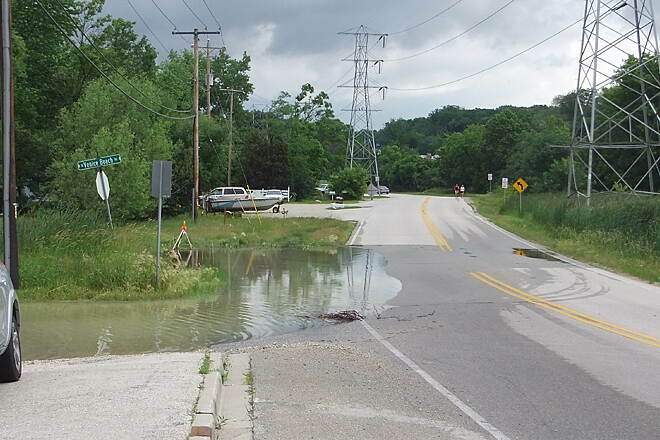 -Hwy 83 in Delafield; It was a marked intersection with crossing signals which was a big help. However there was a lane for unregulated right turning cars that just kept going without stopping. Maybe need a separate walk sign for that lane? Also cars were sitting on the marked crosswalks while waiting for the traffic light to change and we had to go around them to get across Hwy 83. 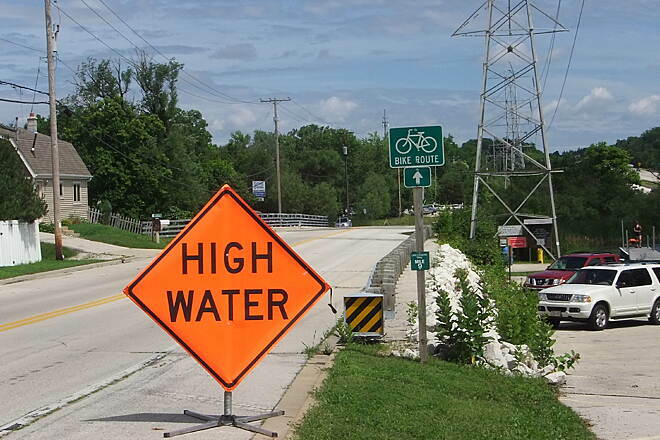 -The street to Kwik Trip just south of Summit Ave/Hwy 67 along Oconomowoc pkwy was challenging to cross. -Also it was very interesting crossing Summit Ave/Hwy 67 as it was under construction and traffic was very heavy despite it being Sunday afternoon. Luckily we had a crossing signal. Overall it was a nice ride, we enjoyed the trail, and would do it again. This was my first time on this trail. It was a nice ride for this time of year. I road from the east trail head to where upper and lower Nemahbin Lakes meet. It seemed like more up hill than down hill there and back. Quite a workout on a mountain bike in strong winds. I'll have to do this one again come spring. Very nice scenery in different seasons. All of the construction is over. 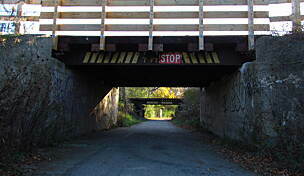 Check the website in the Rails to Trails description. The several eastern miles are completely closed as of August 21, 2015. I can't imagine it will be open for some weeks. I like this trail but...... 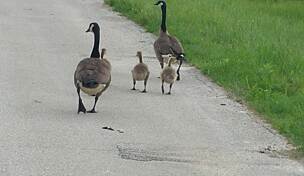 I start in Oconomowoc and head east for about 10 miles where sadly the trail is closed as you come into Peewaukee Lake. Mostly trail riding with some streets, a few hills but nothing to big. I just wish they would finish the work. 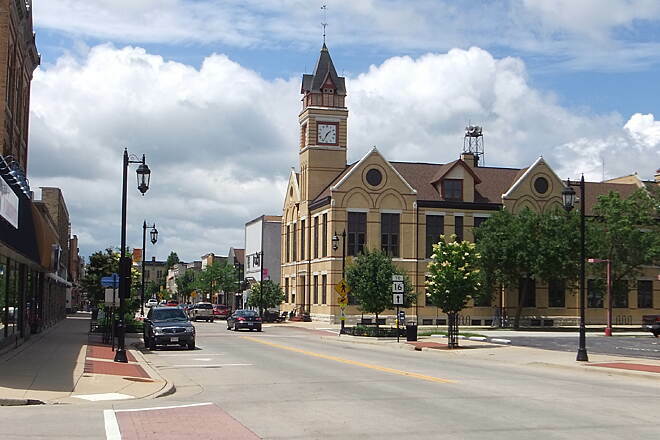 Oconomowoc to Delafield open now! Just an update -- the 10 miles between the trailhead at Roosevelt Park and downtown Delafield are open. See you on the trails! Rode the section from Oconomowoc out to Cty P/I-94. It was open all the way between these two points. And it was a beautiful day to boot! The link also provides a map showing projected closings/opening dates. Closed for repair. When will it be open again??? 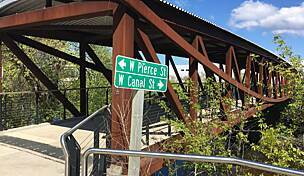 Well, I went here, hoping for a long bike ride on my birthday, no less, only to discover that 11 miles of the trail's 15 were closed! I had no idea this was the case, so I thought I'd post a warning to all. I did this one a few weeks ago. I would highly recommend this trail. It is hilly in some sections and it is very scenic throughout the entire trail. I picked up the trail on Golf road and County Hwy G. It was nice and scenic until about mile 5. 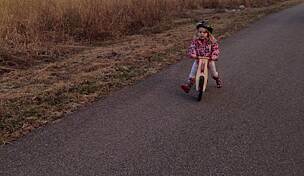 The long, steep hill was quite a challenge for this somewhat experienced rider. The ride down, was equally challenging as it was a FAST ride! Downtown Delafield was awesome. I would have liked to continue, but I had time constraints. Not a good stretch for an inexperienced rider. 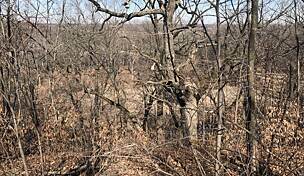 We have read the glowing descriptions of this trail and tried it in going west from the Delafield Trailhead. Within about 5-6 blocks we are on a highway with no bike lane heading up a hill. We were riding with a 10 year old. We gave up and turned around leaving the trail within minutes extremely disappointed. Just used the trail on June 29 2013. The trial's paved and there is no problem for road bile. The trail length should be 16 miles instead of 13 miles. places to get food and water were nearby. 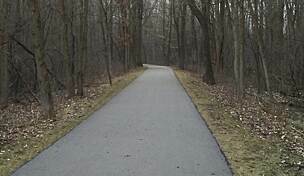 Also now there is a trail from this trail to the Glacier Drumlin State trail in the Delafield area. Rode the entire trail today. Trail is all blacktop. Excellent views with fall colors and great lake views! A bit challenging as the trail has a few long hills. But the climb to the top revealed great views and a long coast to the bottom of the other side. Lots of little restaurants in Delafield. Ate lunch at Milwaukee Street Traders in Delifield,excellent food and great atmosphere! Very clean restrooms and lots of parking at trailhead off Golf Road. 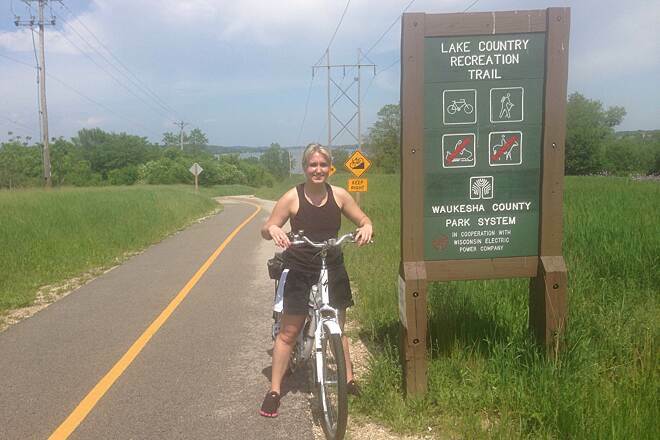 After playing golf at the Nagawaukee golf course (very nice), we rode part of the Lake Country Recreation Trail. We started at the Chamber of Commerce in Delafield and rode west. 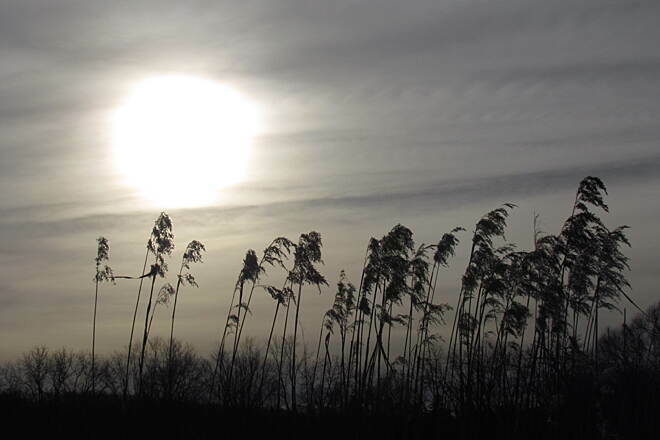 The entire section was lined with utility poles very close to the trail which made the scenery just so-so. 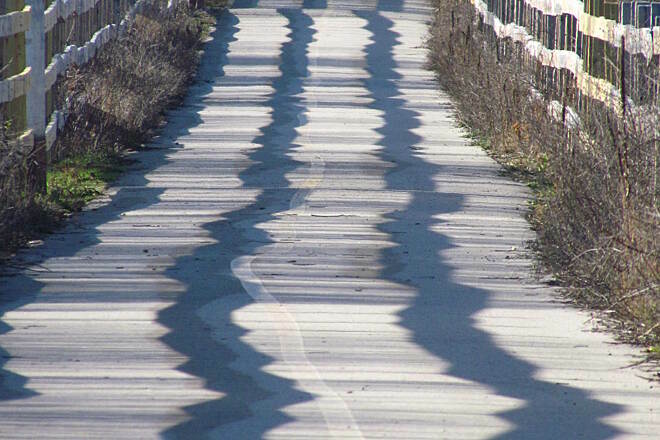 The pavement was nice and smooth. 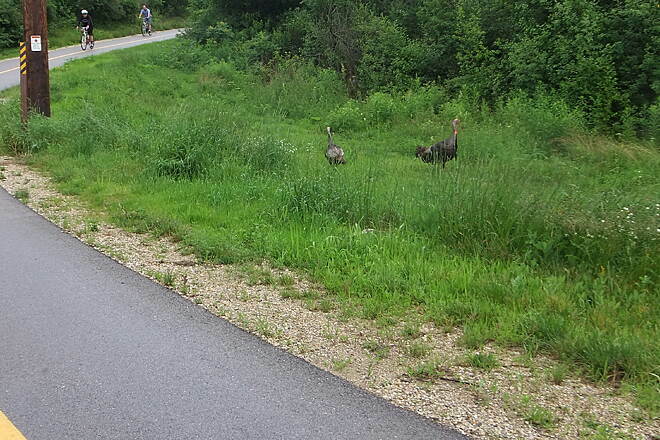 Locals said all the trail is now paved although we did not go east of Delafield. The town itself is a cute town to browse. 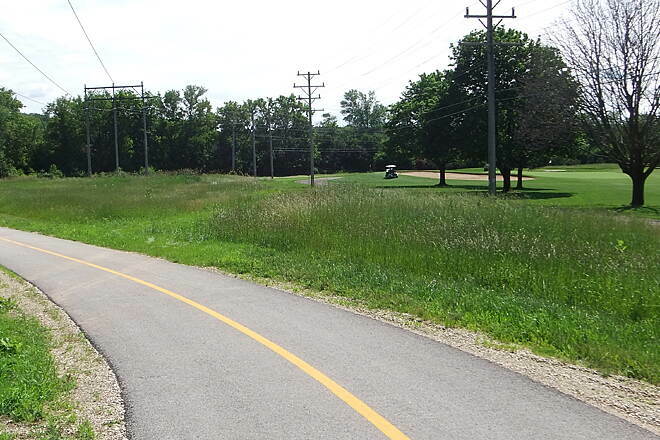 The trail has been recently blacktopped along Nagawaukee Golf Course. 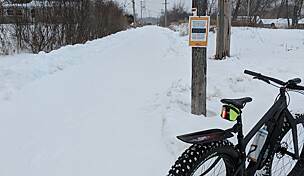 In spite of a major overhaul that took most of last summer, the trail is impassible in portions due to surfacing with very loose gravel through Nagawaukee Golf Course. This has been an ongoing problem. I had lots of problems even walking the trail for about a quarter mile. Other parts are hard-packed and generally decent, but not great if you are riding a road bike with skinny tires. Paved portions near cities, especially from Delafield to Oconomowoc are wheelchair accessible, but the prior reviewer is right about the abundance of high voltage wires (and a sewage treatment plant). "An enjoyable, though not particularly outstanding trail. Much of it is either a) flat and open (I.E. no shade and no particular scenic interest), or b) along very intrusive power line right-of-way, or c) along city streets or golf courses. 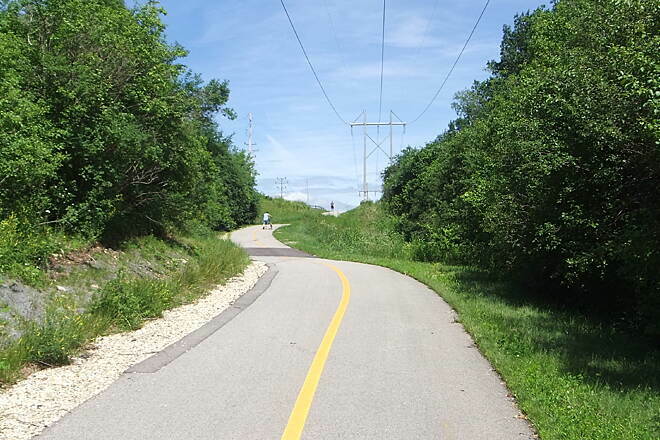 I find it commendable that Waukesha (city/county/whatever) has seen fit to provide as many sections of trail as have been developed. 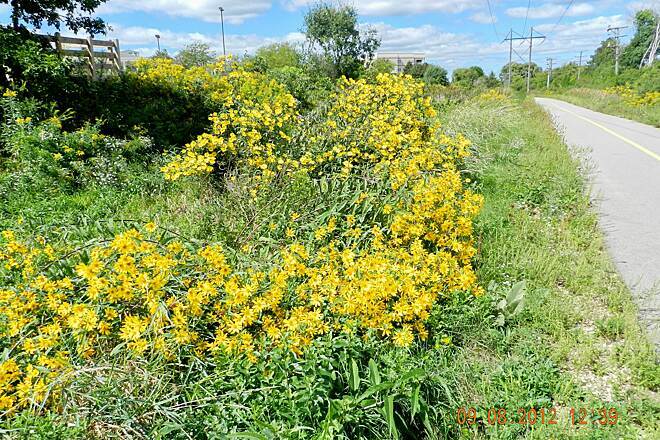 However, far more enjoyable (in the fairly immediate area) are the ""Bug Line"" trail and the ""Glacial Drumlin"" trail. (See write-ups and reviews of each.)"